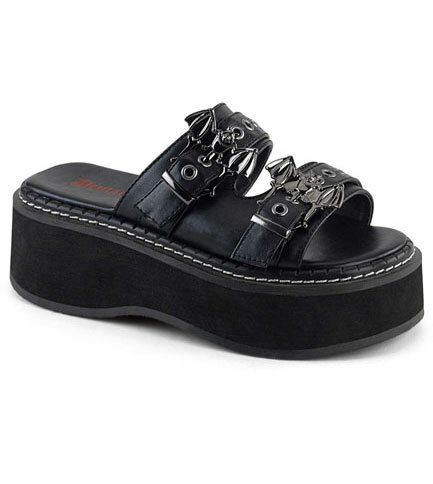 These super cute platform sandals have a 2 inch platform with white stitching. 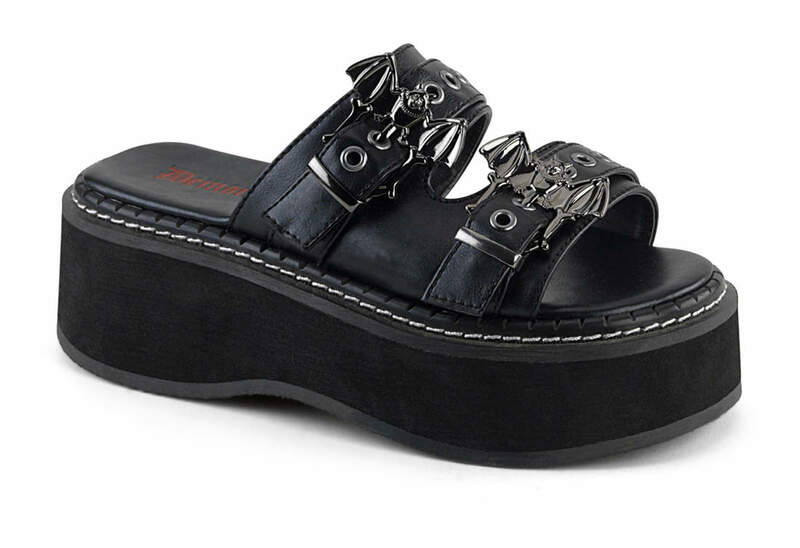 The top of the sandal has a two strap flap with silver grommets and bat buckles. Perfect for summer time.